Check out this tool from developer Mohamed Labouardy that works to optimize your AWS environment and save you some money. In order to build HA & Resilient applications in AWS, you need to assume that everything will fail. Therefore, you always design and deploy your application in multiple AZ & regions, so you end up with many unused AWS resources (Snapshots, ELB, EC2, Elastic IP, etc) that could cost you a fortune. One pillar of AWS Well-Architected Framework is cost opimization. That’s why you need to have a global overview of your AWS Infrastructure. Fortunately, AWS offers many fully-managed services like CloudWatch, CloudTrail, Trusted Advisor & AWS Config to help you achieve that. But, they require a deep understanding of AWS Platform and they are not straighforward. That’s why I came up with Komiser, a tool that simplifies the process by querying the AWS API to fetch information about almost all critical services of AWS like EC2, RDS, ELB, S3, and Lambda, in real-time in a single Dashboard. Note: To prevent excedding AWS API rate limit for requests, the response is cached in in-memory cache by default for 30 minutes. 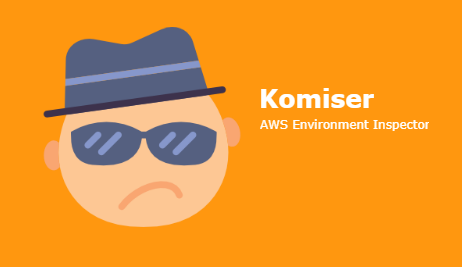 Note: The Komiser CLI is updated frequently with support for new AWS services. To see if you have the latest version, see the project Github repository. After you install the Komiser CLI, you may need to add the path to the executable file to your PATH variable.